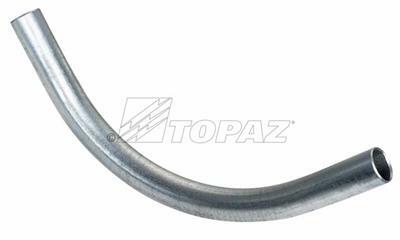 Topaz’s EMT 90° elbow is precision manufactured to deliver optimum safety and performance. 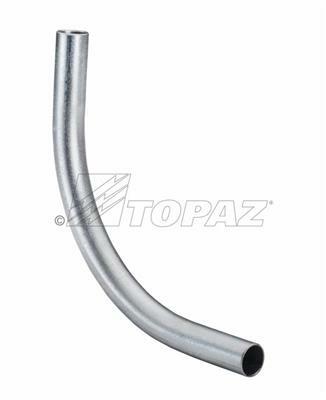 Fabricated from galvanized steel for low conductivity and high corrosion resistance, all surfaces, both interior and exterior are free from defect to ensure a secure connection to EMT conduit and to preserve integrity and longevity. Available in sizes from 1/2” to 4”; cULus approved, meets Federal specification WW-C-563.